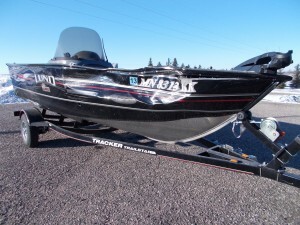 Serving the great state of Minnesota and beyond for over a combined 45 years, our technicians have a love for boats that is uncomparable to any other repair shop around. We are a repair shop that is committed to using the finest boat repair products with the most innovative technology available. We stay current in the latest techniques so that we can be the most well equipped Lund boat repair company around. To better serve you, we will work with your insurance company on guaranteeing the best repair possible! 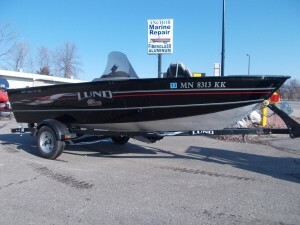 Lund boats are some of the most efficient and best boats out on the market today. We take pride in being a specialized boat repair company specializing in these high quality boats. We make certain that when we receive a Lund boat, we get it back to the customer in the same or even better shape than when the accident actually occurred. Our insurance company approved repair shop can repair structural damage as well as work on wiring, refurbishing, or even customizing special requests. With Lund boats, we commonly see aluminum boat hull repair work that we dedicate to finishing as quickly as possible, letting you get back to the sunshine and fun that summer was created for! Replacing rotten floors, carpets, seats, and transoms. Adding live wells, seats, lights, floors, etc. Located near Lake Minnetonka, we wanted to make sure that we were serving all of our boating friends in need. We understand that it may be difficult to transport a damaged boat. Therefore, we’ve decided to come to you! If you are located within a 250 mile radius of the Minneapolis and St. Paul area, we offer free pick up and delivery, making it impossible not to love our company! So, if you are in need of a Lund boat repair company, it’s time you looked into Anchor Marine Repair. For more information, please give us a call today at 763-972-3540.